Cultural Cocktail Hour caught up with Harper’s Bazaar’s Editor-in-Chief Glenda Bailey this weekend.This image from her latest book evokes touches of Caillebotte. 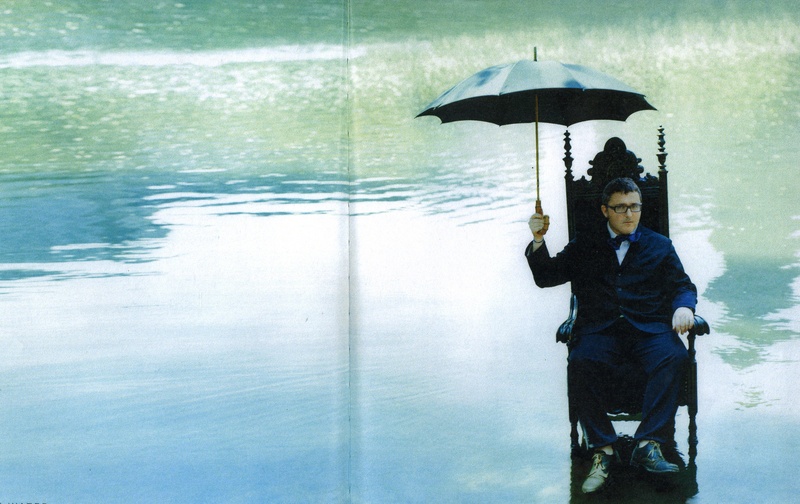 It depicts Lanvin designer Alber Elbaz floating on Central Park Lake. Elbaz dashed from the lake to attend the 2005 CFDA awards. Bailey revealed that at the ceremony, she “heard a squalching sound” behind her: Elbaz’s sopping footwear. He had just won best international designer. As he walked on stage, no doubt the audience realized that they could not walk a hundred miles in his shoes. When asked about her favorite artistic haunts in LA, Bailey replied without missing a beat that she enjoys visiting artist Hutton Wilkinson because of the Tony Duquette estate (Dawnridge). “It is a jewel of LA,” declared Bailey. Photograph© 2011 Harper’s Bazaar’s Greatest Hits by Glenda Bailey. Photographed by Ben Watts. Styled by Jacqui Getty.